"Trust Lui P" is exactly what we did from the moment we met him. Our condo sale was a quick and stressful one and we hit the ground running all the way until closing day. 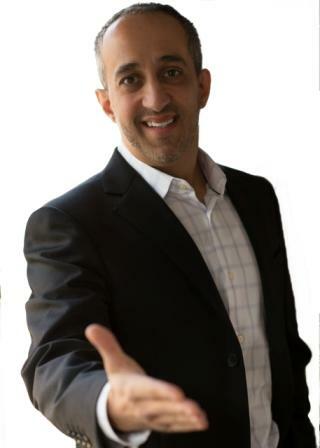 Lui is extremely knowledgeable not only about the real estate market but also about the art of negotiating. He also has the most amazing people skills from keeping me, a pregnant lady, calm and rational to dealing with very tough buyers. From the moment we signed with him to the moment we closed, Lui always went above and beyond our expectations. We couldn't ask for a better real estate agent. Lui has become someone we are ever so thankful to have met. Thank you Lui, I can not stress enough how grateful we are. I do not think we would have been able to do any of this without your help. We definitely owe you big time for all the help you have provided us. I’d just like to thank you for all of your efforts making my journey to finding a place a smooth one. As you remember, I really didn’t have much idea of what I wanted (needed), but I did have fairly strong preconceived ideas! Working with you, we really got to the heart of what I actually wanted, rather than what I perceived I wanted. This, of course, necessitated you showing me a wide variety of properties so that I could get a clearer picture of what would be most suitable and narrow the choice, and location, down. Again I thank you for your time, patience and gentle guidance. You certainly made the buying experience, if not totally pleasurable, as painless as possible. I believe that we negotiated with the, fairly difficult, Sellers well and got the closing date that I wanted while, at the same time, negotiating a reasonable price (if anything in Toronto is a reasonable price!. The closing date being the most important to me. This took patience, nimbleness and perseverance for both of us. I’m very happy with the overall experience, your service, and the overall outcome. I will recommend you to anyone looking for a Real Estate Agent in the Toronto area and I would certainly be happy to endorse you and your services. I’m happy with our choice. We want to thank You for the great and prompt service you provided to us while looking for our next home. We are pretty sure that without your profesional assistance in finding such ideal place, our time and efforts would have been longer and dismal. You were able to comply with our demands and needs and, most importantly, were always eager to offer and discuss any option available accordingly. After months of uncertainty, we now feel so happy that soon we will be moving in. Your help is well appreciated for all the piece of mind we received by working with you and Royal LePage. It is my pleasure to recommend M​r. Lui Pisano​ as a top real estate agent who helped us to get ​our new investment property . With the help of Lui, my wife and I were able to secure a corner lot that matched all ​of ​ our criteria in a wonderful new development in Niagara-on-the-Lake. He had the connections to the builder and was able to get us a spot to attend an exclusive sales event before any of the units were released to the public. On the day of he was the first in line – meaning he had to wait for God knows how many hours so that we could get in first. When you sit down with ​Lui​, you feel comfortable with him. It’s not just about selling your home or buying you a home, he also develops lasting relationships with people. You automatically can trust ​Lui. I like the fact that we can ask ​Lui​ any question, any time of day. He will​ always return your call very quickly. And even if he’s not available, there is always someone in the office to answer your questions. When you are dealing with your most important investment you want someone who is responsible, reliable, honest and available. You can call that office, or his direct line, practically 24 hours a day and if they don't answer right away, you can be sure that within a short period, someone will return your call. We recommend Lui Pisano for his expertise, experience and integrity.